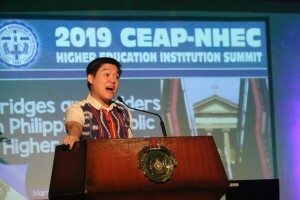 Strengthening “bridges and ladders” in the context of Philippine Catholic Education was the central topic of the 2019 National Higher Education Commission (NHEC) Summit attended by college and university representatives of CEAP member-schools. CEAP or the Catholic Educational Association of the Philippines is the national association of Catholic educational institutions in the country. Now, it has more than 1,484 member-schools. It is a voluntary organization which operates through regional educational associations located in the 17 regions of the country. 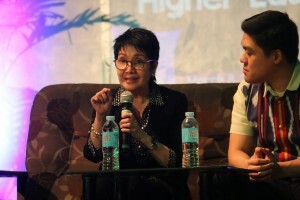 Annually, the organization holds a summit to address key concerns in the field of education. Last year, Miriam College was chosen as the venue. This year, the University of San Jose-Recoletos (USJ-R) was picked as the host. The said event was held on March 8. In his opening speech, USJ-R University President Fr. Cristopher Maspara said that there is a need for CEAP members to annually convene and discuss. “We need to scrutinize our mission and work for the development of our systems,” he said. He highlighted that there is a need to identify issues in the rapidly evolving digital world at the height of Industry 4.0 or the current trend of automation and data exchange in manufacturing technologies. Dr. Ma. Cynthia Rose Bautista, VP for Academic Affairs of UP Diliman, reiterates that technical skills is as important as knowledge. Dr. Ma. Cynthia Rose Bautista, Vice President for Academic Affairs of UP Diliman, shared that there is now a paradigm shift from the traditional formal education to life-long learning. “Now, we are moving toward organic and more fluid curricula,” she remarked. Bautista continued that one no longer needs a diploma to succeed. Furthermore, she stressed out that technical skills is as important as knowledge. However, there is still a need to change the perception of the general Filipino perception that knowledge is superior to the other. Karol Mark Yee shares what are the current employment trends in relation to the current educational system. Meanwhile, former CHED Executive Director Karol Mark Yee raised another concern. He revealed that studies show that college level graduates remain to be the highest paid workers. With this setup, he remarked that the current Philippine education system is yet to reach excellence and equity. He also pointed out that a phenomenon of college dropouts is taking place in the country as job openings requiring one to be at least ‘college level’ increase. He added that the current K+12 program is not enough to prepare a student for employment. “K+12 graduates are not employable because of limited hands-on exposure,” he said. USC President Dionisio Miranda, SVD supplemented that one hindrance in providing industry exposure is the exisiting child protection laws of the land. In response, Yee said that aligning academic offerings to the demand of the industries may help ready the students. However, it should not only be for the big companies but also for small medium-sized enterprises (SMEs).